Emerald City has 24,000 sq ft of padded play area that kids of all ages love! 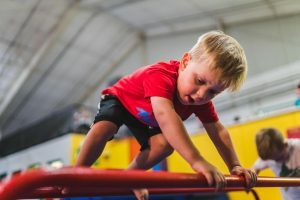 Your group will have a blast (supervised by our trained staff) in our huge play area which includes in-ground trampolines, rope swing into the giant foam pit, slides, a maze, slam dunk basketball and more! Bring your group to one of our public Open Play sessions on Friday (7-9 pm), Saturday (7-9 pm) or Sunday afternoon (1-3, or 3:30-5:30 pm) for children ages 4-12. We charge the normal price ($12/child) and give 25%back to you. So if you bring 10 children, you’ll earn $30 for your school or team! Please click HERE for more info or schedule your event. See calendar below for availability.